The Spanish JO.LO.AR. 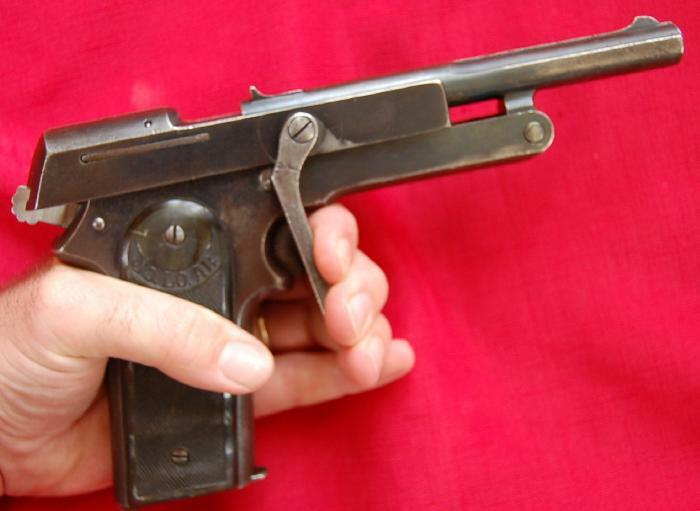 (pronounced as "ho lo ar") was a Spanish semi-automatic pistol produced by STAR Bonifaco Echeveria S.A. The name JO.LO.AR. comes from the name of its designer Jose Lopez Arnaiz. The calibers included the .25 ACP, .32 ACP, .380 ACP, .45 ACP and the 9mm Largo ( a popular Spanish cartridge), which meant that the 9mm Largo JO.LO.AR. could use the older .38 Super cartridge although there was a risk of damaging the mechanisms when used. Learn something new everyday. Thanks Pete. I just got the December issue of Guns & Ammo- guess what is the centerfold? !